The Manchester United Supporters' Trust (MUST) revealed they have only been allocated 5000 seats as opposed to 9000 for the Arsenal fixture by the club. Manchester United fans have been agitated over the reduced ticket allocation for them in the upcoming FA Cup fourth-round match against Arsenal. The FA guidelines state that the away fans are entitled to at least 15 percent of the available 60,000 seats at the Emirates stadium. The Manchester United Supporters’ Trust (MUST) revealed they have only been allocated 5000 seats as opposed to 9000 for the Arsenal fixture by the club. The London-based club have cited “safety reasons” for the fewer seats. “What makes the FA Cup special is the larger away allocations than you get in league games,” a MUST spokesman said. “For Arsenal to offer little over half the proper allocation is a joke. The game is just 10 days away and at present United are unable to sell tickets to their fans. Arsenal supporters have backed their rival supporters asserting that had they fixture been at Old Trafford (Man United stadium), they would expect no less. “Set at 15 percent in rules. Creates great atmosphere and creates differentiation to PL (Premier League). So frustrating to see this under threat at Emirates for MUFC Cup tie,” the Arsenal Supporters’ Trust wrote on Twitter. However, Arsenal have stated that the away allocations are set following discussions with their Safety Advisory Group. 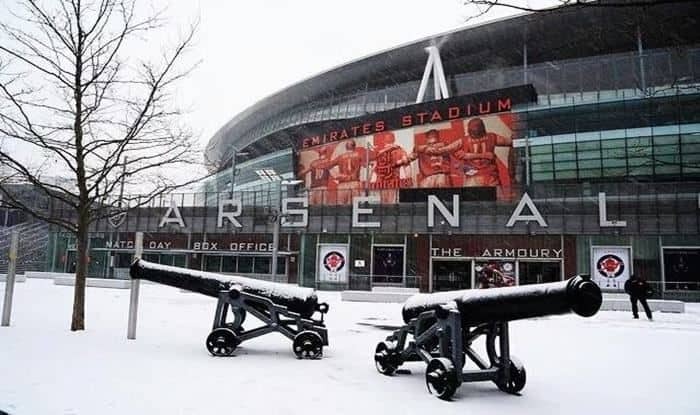 “Ticket allocations are based on ongoing safety assessments and in consultation with our Safety Advisory Group, which includes representatives from the local authority and police,” an Arsenal spokeswoman said. The FA Cup is the world’s oldest knockout tournament in football. The prestigious cup has been won by the Arsenal on 13 occasions, which is the highest in the history of the tournament. The visitors have a rich history in the tournament too as they are the second most successful in the tournament with 12 cups.